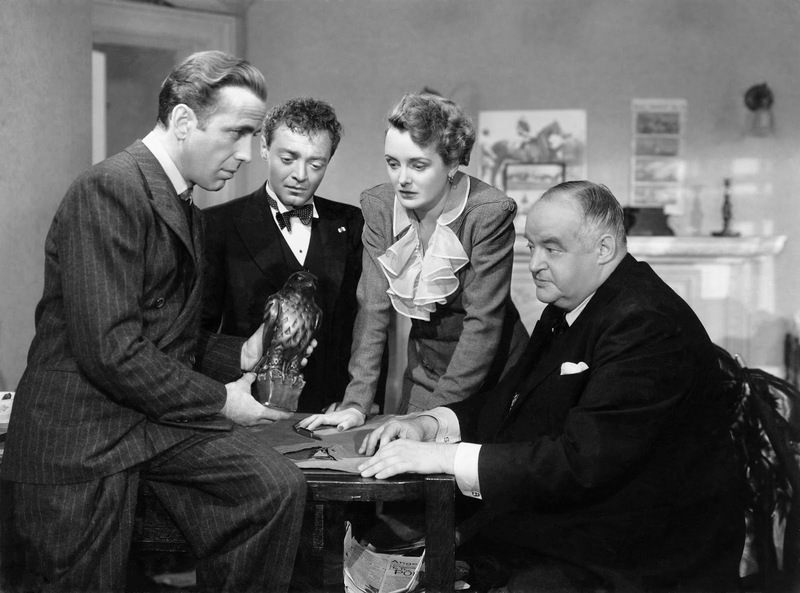 The Maltese Falcon (1941), starring Humphrey Bogart, Peter Lorre, Mary Astor, and Sydney Greenstreet, is one of the 1001 classic movies you should see. Each Monday, I'm going to recommend a classic movie you should see (for the reasons behind the 1001 series and reviews of earlier films covered go here). Throughout May, I'll celebrate the 75th anniversary of Citizen Kane with a look at that film and three other movies that were nominated for best picture at the 1941 Academy Awards. Today, I'm looking at the seminal film noir, The Maltese Falcon. 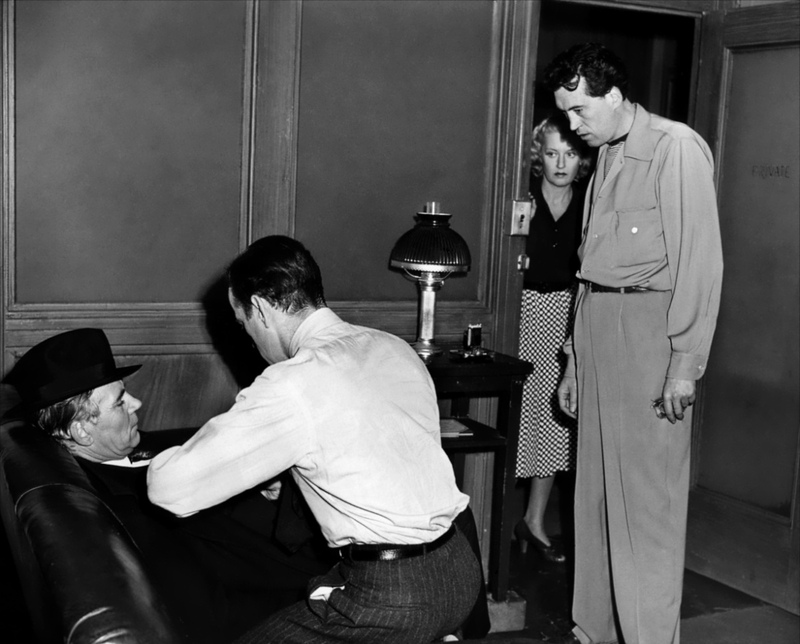 Note: I covered 1941 best picture nominee Suspicion during my Hitchcock series in February. You can check it out here. The Maltese Falcon tells the story of San Francisco private detective Sam Spade (Humphrey Bogart). Spade and his partner (Jerome Cowan) take on the case of a beautiful but mysterious woman, Brigid O'Shaughnessy (Mary Astor). At first, she tells Spade that she is looking for her missing sister, but he later comes to find out that she is mixed up with a gang of criminals who are looking for a priceless medieval relic. Dashiell Hammett's 1928 novel had already been filmed two times by Warner Bros. before studio chief Jack Warner gave first-time director John Huston a third chance to make the movie, so long as he used only Warner's contract players and made the film on time and under budget. Huston more than delivered on his promise, delivering a fast-paced detective story that was a critical and box-office smash. The movie not only launched Huston on a legendary directing career, it also made Bogart a major star, revived Astor's flagging career, and made Peter Lorre and Sydney Greenstreet much sought-after character actors. The Maltese Falcon was one of 10 films nominated for best picture in 1941 and although Citizen Kane is certainly the most innovative among the nominees, The Maltese Falcon is probably the most influential film in the group. There were a smattering of films noir before The Maltese Falcon's release in October 1941, but in many ways this movie set the template for the noir genre from the hard-boiled dialogue -- most of which was taken directly from Hammett's novel -- to director of photography Arthur Edeson's high contrast black and white cinematography. 1. Bogart. Bogart had been toiling away at Warner's in thankless supporting parts and B movies when The Maltese Falcon and another 1941 movie, High Sierra, made him a major star. With Sam Spade, Bogart created a new kind of movie hero: a cynic who lives by his own rules but won't break his code of honor for anyone, even a beautiful woman. 2. Dialogue. There are a lot of innovative camera techniques in The Maltese Falcon, but the movie is primarily driven by the dialogue in Huston's brilliant screenplay, which draws heavily from Hammett's novel. Especially notable are Spade's hard-boiled wisecracks and Brigid's complicated web of lies within lies. 3. Cast. The Maltese Falcon has a fair claim for having the best cast in an old Hollywood movie, although it does have some stiff competition from Casablanca (1942) and Citizen Kane. Everyone was at the top of their game, especially Astor who gleefully jumps into her juicy femme fatale role, and Greenstreet, who is quietly menacing as the villainous Kasper Gutman. 4. Humor. Much like Citizen Kane, The Maltese Falcon has a lot stealth humor, especially from Peter Lorre. The scene where he and Astor are slapping at each other like The Three Stooges is hilarious, as is the moment near the end of the film where Lorre goes completely bonkers on Greenstreet ("you imbecile, you bloated idiot"). 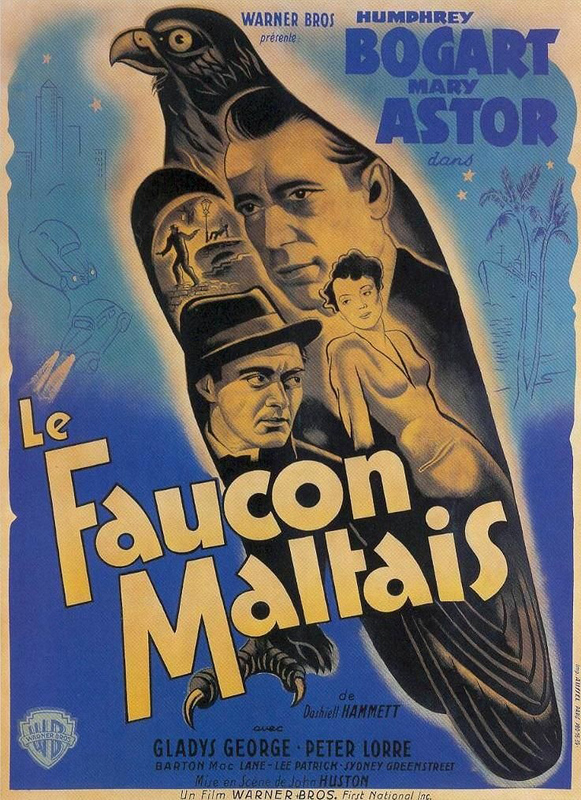 Other critics: The Maltese Falcon is one of the few movies that have an 100 percent rating at Rotten Tomatoes, and Leonard Maltin calls it an "outstanding detective drama [that] improves with each viewing" in a four star review for his Classic Movie Guide. Critics in 1941 were mostly impressed. Bosley Crowther of The New York Times wrote, "young Mr. Huston gives promise of becoming one of the smartest directors in the field. The trick which Mr. Huston has pulled is a combination of American ruggedness with the suavity of the English crime school—a blend of mind and muscle—plus a slight touch of pathos." The Variety critic correctly predicted that the film would be a smash, writing that The Maltese Falcon " displays outstanding excellence in writing, direction, acting and editing—combining in overall as a prize package of entertainment for widest audience appeal. Due for hefty grosses in all runs." Walter Huston, Humphrey Bogart, and Lee Patrick (in doorway) rehearse a scene for The Maltese Falcon under the watchful eye of director John Huston. The bottom line: The Maltese Falcon is one of the best films of old Hollywood's golden age even when put up against other 1941 greats like Citizen Kane and How Green Was My Valley. It is not only a highly influential film noir, but also a first-rate thriller that rewards multiple viewings. Availability: The Maltese Falcon will air at 10:15 p.m. Tuesday (May 10) on TCM. It is also available on DVD, Blu-ray and video on demand. Next week, I'll continue May's theme of 1941 best picture nominees with a look at The Little Foxes. The post will be up on Tuesday so I can celebrate National Classic Movie Day with the Five Movies on an Island Blogathon.